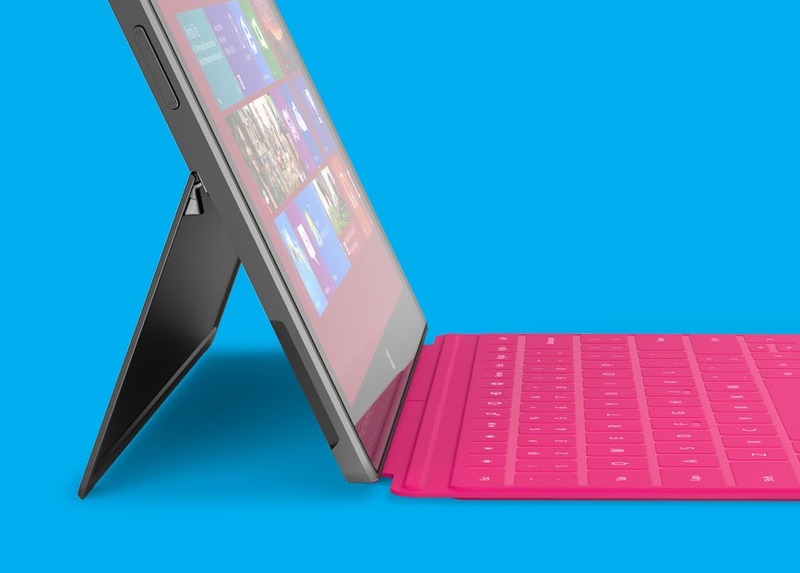 Microsoft just released the first sneak-peak at what will be the new computer/tablet – Microsoft Surface. The name could be better but the product is so spectacular I couldn’t care (and it’s less pretentious and retarded than the “new iPad”). In this post I will explore the glory that is Microsoft Surface as well as why I think it makes the iPad irrelevant. Previously I wrote about my distaste with tablets and how they serve a middle-ground market that shouldn’t even exist. Why get a tablet when you have a laptop and a smartphone? It’s another expensive device that neither serves to function as a true laptop with a full OS nor as a super-portable smartphone. Microsoft has bided their time and assembled a product that will truly redefine the space and hopefully throw the traditional notion of “tablets” out the window. You see, Microsoft Surface is both a “tablet” in that it is quite portable and a traditional laptop in that it runs a full OS with standard windows applications. This is a huge step forward and one that I have been waiting years for. The iPad has never evolved beyong being a large iPhone while Microsoft Surface will satisfy both the portable market as well as the productive market. Instead of 3 devices (Mac, iPad and iPhone, for instance) you will only require 2 – a smartphone and Microsoft Surface. It will have a toned-down version available for those who want to use it as a big phone (much like the iPad) to satisfy the particularly cheap and unassuming consumers. It will have at least 1 beefed-up version that will feature a full Windows 8 OS including the new tablet-friendly Metro interface as well as the traditional Windows interface for productivity. It has an incredibly innovative built-in stand that allows it to easily change from portable tablet to productive PC. It also has an incredibly innovative keyboard that is built into the cover. The cover is somewhat iPad-like but the introduction of the built in keyboard is incredible. No more having to buy all these separate peripherals for your tablet to try to make it productive – Microsoft Surface has it all built-in! I hesitate very much to use the word tablet but for simplicity’s sake: the tablet is even thinner than the iPad (not that it really matters). The new metro interface looks to be even easier to use than that of iOS with consistent, simple and elegant design through-and-through (Microsoft Surface does not employ skeuomorphism like Apple). Some people argue that Microsoft Surface is not an iPad killer and I couldn’t agree more; since it has created a new category entirely it surely cannot be compared to the iPad. Please leave a comment below and let me know what you think. Apple fanboys need not apply. Probably Best idea to buy the Ultrabook Microsoft Surface version then, which doesnt quite make it a Tablet but a good alternative.